In this episode number 148, you’re going to learn how to leverage the power of podcasting to build authority, network with influencers, generate more leads and acquire new customers. Our guest is Yann Ilunga. 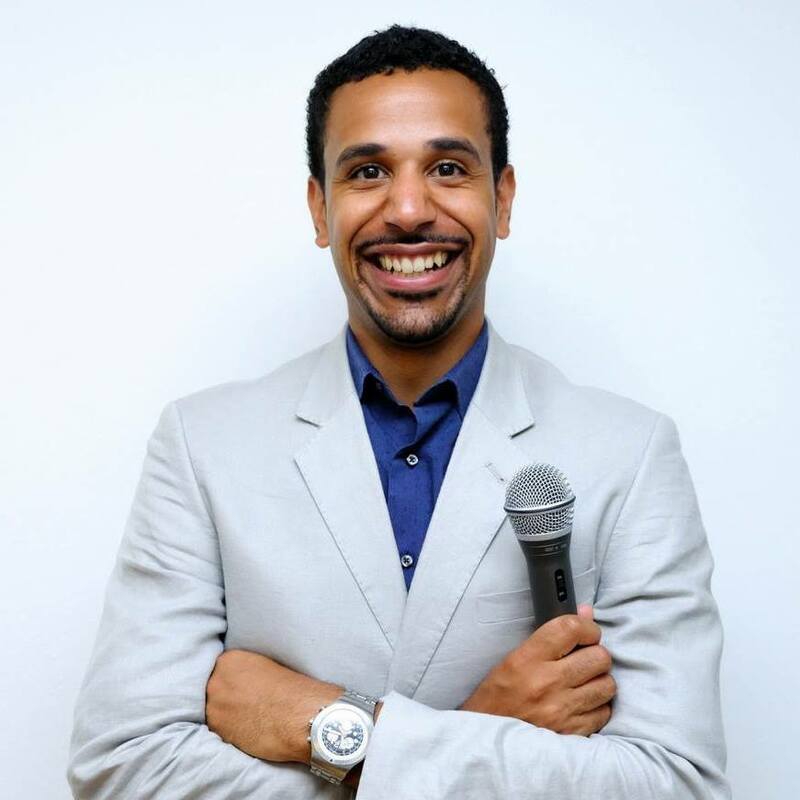 Yann is a podcasting consultant, host of four podcasts and the Founder of the world’s largest virtual summit for podcasters, the Podcast Success Summit. Yann, it’s great to have you on the show. Stephan, thank you for having me. Let’s talk about podcasting first of all, because I know you’re very enthusiastic and dedicated to podcasting as am I. What got you so into podcasting? My background is actually in communications. I have both bachelor and master’s level or for all of our North American friends, undergraduate and graduate level communications, is what I majored in. I’m originally from the Italian-speaking part of Switzerland. Years ago, I worked for a jazz music festival. Then I moved to Helsinki, Finland. I’ve been living here for a little over seven years. When I moved here I was doing my master’s and I wanted to do my own thing. I could literally listen to music 24/7. From the moment I opened my eyes in the morning and I could fall asleep with headphones. At the time I was studying for a course, for the first time in my life I didn’t feel like listening to music, but I still wanted to listen to something. I did a quick search online randomly and I stumbled across this thing called podcasts. I was like, “I wonder what it is.” I listened to it. I fell in love. I was fascinated by it and I was like, “I think I could do something similar doing interviews.” I had done interviews in the past for the Music Festival for a few years and I asked myself, “Who do I know who’s an interesting person or an interesting group of people?” That’s where my contacts with that music festival came into the picture. That’s when my first podcast, The Jazz Spotlight, was born. When my first podcast, The Jazz Spotlight, was born, I was learning more about podcasting, entrepreneurship, and digital marketing. Then as I was learning more about podcasting entrepreneurship and digital marketing. I started to follow more and more people in those spaces and realized that I would love to have them on my show. The problem was that I couldn’t interview people like those on a music business show. I was thinking how I could go about it and then I decided to launch a second podcast. That’s where the 360 Entrepreneur was born. Fast forward, I have worked on a couple of other podcasts. 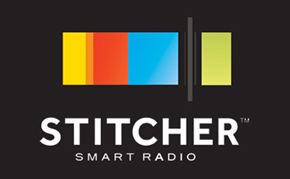 My latest is called The Podcaster Lab and it’s a show that this all about podcasting. I’m enthusiastic about podcasting and it’s actually something that I really breathe because most of the client work I do focuses on podcasting as a medium. Whether it’s starting a podcast, helping people with the marketing side of podcasting, or being podcast guests as well. I think podcasting is becoming my oxygen these days. It’s so rewarding because you’re adding value to the people that are listening to your show. You’re able to get this exclusive time with a thought leader and asked them tough questions that will benefit you with the answers. It’s a great opportunity. What makes a good interviewer? If you’re going to interview a huge name, a huge podcaster or huge author, speaker and you want to give them the very best interview they’ve ever had that they’ve ever gotten, what makes it so special? What’s your secret sauce? To give a little bit of context to people tuning in, with my podcasts and virtual summit because I also have a virtual summit called Podcast Success Summit, all those assets combined, I think I’ve conducted well over 200 interviews. I’ve interviewed Grammy Award-winning artists, all time bestselling authors, popular entrepreneurs, creatives, people in different spaces. Oftentimes, I’ve heard very good things about the guests in terms of the experience they had on the show or on the summit or whatever context we may have interacted in. I think there are a few ingredients that I think make for a great podcast interview. Even if it was a video interview, most of the things are the same. The first one I think is pretty straightforward and it’s the preparation. As the host, you want to prepare. I have to admit that sometimes when I’ve done interviews at music festivals for example, because some musicians may be a bit like, “I don’t want to do it.” Then they change their mind and they say, “Yes, I have ten minutes.” Sometimes I had to prepare the last minute. Even then I still managed to give the guest a great experience. That’s because I have already years of experience behind me. Preparation is the key. Would you like me to share the way I prepare for an interview statement to tell you more about what I do exactly step-by-step? Let’s say I were to interview you in a few days, what I would do is first of all I would go on your website for example, and get an understanding of what I’d like you to cover. The interview is something that both of us do. We are the co-creators, but I would ask myself, “What would I like him to discuss on the show?” That’s the first thing. Once I’ve identified that, I would start looking at your content. It can be past podcast episodes. If you’re an author it can be your book, it could be blog posts. I will try to find interesting points, different examples, and things that go into the direction of the topic of the interview. Once I’ve done that, I would say, “What do I want a person who tunes in to get out of the interview?” In other words if we are at point A, how can we take them to point B? First of all, what is point B and then what steps can we take toward the person go from A to B? What would be the example of a point B? After I’ve done that, I do something additional that I’ve seen that makes me as an interviewer stand out. I heard it especially from several pop musicians. What I do is once I have created some points of discussions/questions, I go and take things one step further. If it’s a musician for example, I try to look at past interviews that they have done. I try to find interesting anecdotes and sometimes they can be connected to the topic of the interview and sometimes not. In your case, for example, I know you were in Helsinki, where I’m based in. That’s something I would make a note of asking you about because Helsinki would be a common ground between the two of us. I’m originally from the Italian-speaking part, so if I were to notice that the artist I’m about to interview has performed at Jazz Ascona for example, which is the music festival I worked at, I would make a note to ask about that because that’s some common ground and it’s also a question that is great for example for breaking the ice. It shows your preparation, makes you much more intentional and to show up more powerfully as a podcast host when you have a guest. Many shows out there, they don’t do any preparation. They don’t download the one sheets, they don’t look at the potential interview topics. They don’t research the guests and they wing it. I’m not for having a very rigid structure to a podcast where there’s always the same seven questions or anything like that, but I like something more in the middle where you’ve done some preparation but it’s very free flowing and you go in different directions. I wasn’t planning on asking you about one-sheets, but the topic came up so I might as well ask you about one-sheets and why you have one. Why are they important for a potential guest who’s on podcasts to have one? I want to build on what you said. The preparation isn’t something that needs to take an entire day to carry out. Sometimes fifteen minutes, twenty minutes is more than enough. I think that listening for past interviews, for example the guest has done gives you a better understanding of the type of person you’re about to chat with, what their style or personality is all about. With an interview, that actually may give you something to build on because if for example, I’m interviewing you and I say, “Yes, I remember in our recent interview you said this and I found it fascinating for these reasons.” In your head, you’re going to be like, “This person prepared and consumed past content of mine,” versus me showing up and ask you the same questions everybody else has asked you in the past. To answer your question about the PDF one-sheet, I think it’s key to have some asset as a podcast guest. Personally, I have both our podcast guest’s web page and a one-sheet. For those who don’t know, a one sheet is similar to a speaker sheet that is a PDF that contains some information that is useful for the host, some short bio about who you are, what you do, some possible topics to discuss for the interview, accolades, things like that, and your contact information. That’s typically what it’s all about. I prefer to have a podcast guest web page as well. For the fact that it is easier to update a page, to change a page, and not everybody loves to download files. For me, I have a web page that I either direct the host toward and on that page if he or she wants can download the PDF one-sheet. On the other hand, if you know what is it that you had to offer and you choose topics that you can talk about that are connected to those resources, then it’s going to be easier for you connect the dots and it’s also going to be a spontaneous thing and it’s going to fill in right because people are going to be, “This person has talked about gardening, as the next step to the interview, they’re offering a free video course on gardening.” It makes sense. There is a logic there. The one-sheet is a standard thing in the industry. When potential guests want to get on shows, they attach a one-sheet PDF to the email or the guest booking service that they use. Let’s say Interview Connections or Interview Valet or whatever. That is pretty standard and that’s something that you offer. What you said is also very crucial that you want to create something that is easier for the podcaster to consume in a web page that has all the resources in one place and it’s more interactive and it’s easier to keep up to date. It’s got the booking link to book on your calendar, of course it has a link to the one-sheet PDF. It’s got a lot of the stuff, the bio and everything right there, ready to copy and paste. Is that something that you have been doing for years or is that something you recently started doing? I’ve been a podcast guest already for a couple of years and also with some of my consulting clients, we work on podcast guesting. I’ve had the PDF one-sheet for quite a while. The podcast guests’ web page is something I learned from my friend and client, Nicole Holland. I think as you were dabbling down, I think it’s easier and it’s more interactive and it also allows you to add more elements. For example, you can add artworks of podcasts you have been featured on or even linked to those past interviews and things like that. Nicole is a very savvy podcaster. I would imagine that you’re not teaching her how to podcast when you’re working with her. What sort of stuff do you offer your clients? Obviously, it depends from the person. Some need assistance with let’s say, taking the first steps of their podcasting journey. They need help with the technique outside of podcasting. Some need help with the strategy they want a podcast for business. They want to start a podcast connected to their activity. They wanted to be an asset for their business and they want help to craft a strategy. Some need help with the podcast guesting side of things. Then with others, over the last half a year or seven months or so, I started helping people with the marketing side of things. In the case of Nicole for example, we are working together. I help her with the marketing side of her for podcasting endeavors. How does the marketing differ from the business strategy for a podcast? Let’s use me. I have two podcasts, this one and The Optimized Geek, which is all about biohacking, life hacking, productivity and being a better human, self-help and all that sort of stuff, and personal development. My business is as an SEO consultant and coach. More SEO coaching, but I do some business coaching as well. That’s my bread and butter, and the two podcasts do not generate any business for me. They’re labors of love and a cause center, not a profit center. Let’s say I were to start a business similar to yours, so I focus on SEO, search engine optimization. The tendency is to say, “I’m going to do an interview-based show and I’m going to interview digital marketers.” First and foremost, the question is, “Is an interview-based show the right format?” Maybe not. For example, if your number one goal with podcasting is position yourself as an authority, then you may be better off doing a solo show. Why? Then the emphasis, the spotlight is on you all the time. That means also that more pressure is on your shoulders, if you will, because you aren’t sharing the spotlight. For example with my latest show, The Podcaster Lab, I didn’t do any interviews. it’s just me. Sometimes I do have guest contributions that we have recorded, but I don’t conduct interviews there; the focus is on me. Why? Because my goal with that show is to position myself further in the podcasting industry. With the 360 Entrepreneur on the other hand, my goal was to grow my network. In that case it made sense for me to host an interview-based show. Why? Because every interview I did, I always made sure to ask the guest afterwards if it was okay for me to connect with them on LinkedIn and Facebook. Going back to the example of the SEO company, if somebody has a company that works on SEO, they should ask themselves, first of all, “What do we want to achieve with podcasting?” Do we want to become experts? Do we want to build relationships? Do we want to grow our email list? Do we want to simply do it for fun? Sometimes one can say, “I want to do one and two and I also want to do three.” For me, I found that the more deliberate one is about trying to focus on one goal and building, engineering the podcast around it, the easier this to achieve the goal. 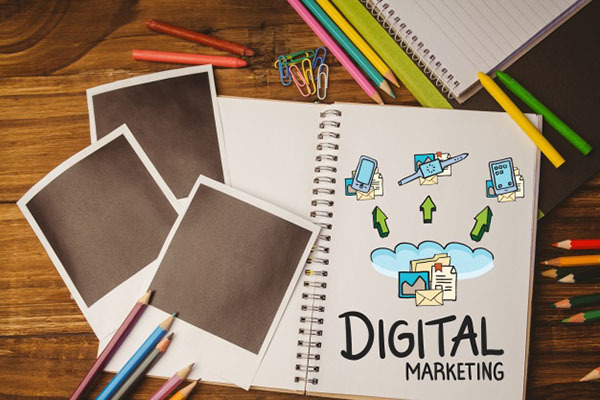 If you want to grow your email list, then you have to make sure that every single piece of content you produce is somehow connected to a lot of resources you have. If you interview “big popular entrepreneurs,” it may make for an interesting interview, but it may be harder for you to connect it to your webpages to your optimization checklist or something like that. If you’re interviewing somebody and you’re talking about podcasting, for example. I think that when it comes to their strategy, many podcasters or many people get into podcasting for business purposes without thinking about this. Why not see if there are ways you can collaborate further? Are you interested in being a speaker? Instead of interviewing popular entrepreneurs, why not going after the founders of conferences you would like to speak at so that then if you want to apply for the conference, you’re not going to be a random name, one of the hundreds of thousands of applicants, but you’re going to be a familiar name? Who knows? Maybe if you have a post interview chat, the founder himself or herself is even going to ask you, “By the way, are you interested in speaking because I think you may be a good fit for our events.” That’s some aspects of this strategy for the business. The marketing has to do with the growth of the show, doing things, carrying out certain tasks to try to increase the reach of one’s podcast. I’m curious what is the post-interview chat like for you when you’re talking to guests and you wrapped up the interview? What are you trying to accomplish with that post-interview chat? For me personally, I think that those 30 seconds or two minutes are probably the most powerful window of time you spend together because that’s where you can get introductions to other possible guests or if you are a guest yourself, you can be introduced to other podcasters. If somebody has paid you a nice compliment during the interview and perhaps he or she is a big name, I’ve done it many times. If somebody has paid a nice compliment, I asked. For example, Jordan Harbinger, the host of The Jordan Harbinger Show, paid me a nice compliment during an interview. Afterwards, first of all I said, “Yes, thanks again for the kind words. Is it okay for you if I add them to my site as a testimonial?” He said, “Absolutely. Go for it.” For those who don’t know, Jordan is one of the most popular podcasters and he was the co-host of one of the most popular podcasts in the entire world. He’s been on my other podcast on The Optimized Geek. We did The Art of Social Engineering as the topic. That’s one thing I’ve done. Other things I’ve done, for example I have a virtual summit. If I had a very good vibe, that’s not something it has to do with every single person you interview. Some interviews you do are nice interviews, but that’s it, but if you had a very good feeling, I would ask for example, “I’m planning this digital conference. Would you be interested in being a speaker? I can send you more details by email.” If you are somebody who has a product or an info product to sell and you know the person you have interviewed is a person who you have seen do collaborative webinars, you can ask them, “Would he be interested in partnering up? I have this course and would love to do a joint webinar with you.” If the person is somebody who organizes events, you can basically hint that you are a speaker and that you’d be interested in speaking at their event. There are several things that can happen in those 30 seconds or two minutes. The post interview chat doesn’t have to be five hours, but I think that’s where you add the icing on the cake in terms of turning that interview into an actual relationship. You clearly are very intentional with your post interview chats. I’m sure they generate a lot of opportunity for you. Why don’t we explain a bit more about virtual summits for our listeners, if they’re not familiar with that? We’ve had topics on this podcast about webinars and about joint venture, JV-ing and stuff, but we haven’t discussed much about virtual summit. Let’s dive into that for a little bit. Simplifying things a little bit, a virtual summit is that digital conference. The idea is that you have access to a series of video interviews or live streams, it depends. Some virtual summits, for example mine called Podcast Success Summit, is the biggest podcasting virtual summit in the world because of my location, because of the fact that speakers are all over the world is very difficult if not impossible to have live sessions. That’s why in that case the sessions are prerecorded. We record the video interviews for panels of discussion in an advance. Why organize a virtual summit? There are several reasons why. I have found it for people who attend to be a very unique experience because it gives them access to what knowledge, a wealth of information. Oftentimes it’s quite intensive so it’s packed in a week or something like that. I have found whenever I attended virtual summits, I often found that if I attended them seriously, not that I was watching the summit, but I was listening to music and I was reading a book, but I was intentional about them, I found them to be very powerful in terms of me getting a grasp of a specific concept or topic or something like that. This will be a good tie in to get back to the topic of podcast marketing to increase reach and listenership. It also ties in with the post interview chat. Are you asking the guest to do anything in particular to get the word out about the episode when it’s going to air, or do you wait until the episode is ready and then you email them and hope that they will share it on social media and email their list about it? I’m able to give you a 360-degree answer for the fact that I’m both a podcast host and podcast guest. I typically don’t ask my guests to share the interview. I simply tell them, “We’ll let you know when they interview is out.” Typically I send them an episode media kit, which is a series of images for example, optimized for certain platforms. A series of audio cards or animations it’s basically an image connected to a portion of the interview. There’s some animation, it can be some volume bar, it can be some circle, some equalizer that basically moves as the piece of audio is played and that can be shared on places like Facebook, Twitter, LinkedIn, and so forth. Are you using a particular tool for that? Because I’m thinking of one that I’m using. Do you know Hani Mourra? Are you referring to Repurpose? Because I had him on this podcast as well and we talked a little bit about Repurpose. I know Hani personally as well, I had the pleasure to meet him. I’ll be meeting him again. I’m using a couple of different tools. One is called Wavve and the other one is called Headliner. The main difference between Wavve and Headliner which are similar tools, and Repurpose lets you share the entire interview. Whereas tools like Wavve and Headliner focus more on snippets. Think of trailers, interesting quotes, interesting exchanges, controversial parts of the interview. Sometimes I’ve found some golden nuggets that are ten to fifteen seconds long. Sometimes they are longer, maybe a minute, 90 seconds or something like that. That I would say is the main difference between something like Repurpose and these other tools. Before we jump back to the episode media kit, for clarification regarding using a snippet of the interview as a trailer or a teaser versus posting the entire episode like a YouTube video or to Facebook as a video. Do you have any experience or thoughts to share about whether one is effective and one is not or are both effective? For me it’s a tool for podcast marketing as an entire field. I think that podcasters think that strategies are true for everybody. For example, if I hear that you have had success doing steps one, two, three on YouTube, I think, “If I do steps one, two, three, I’m going to get the same results.” That’s not the case because we are in different contexts. We may be addressing different audiences. 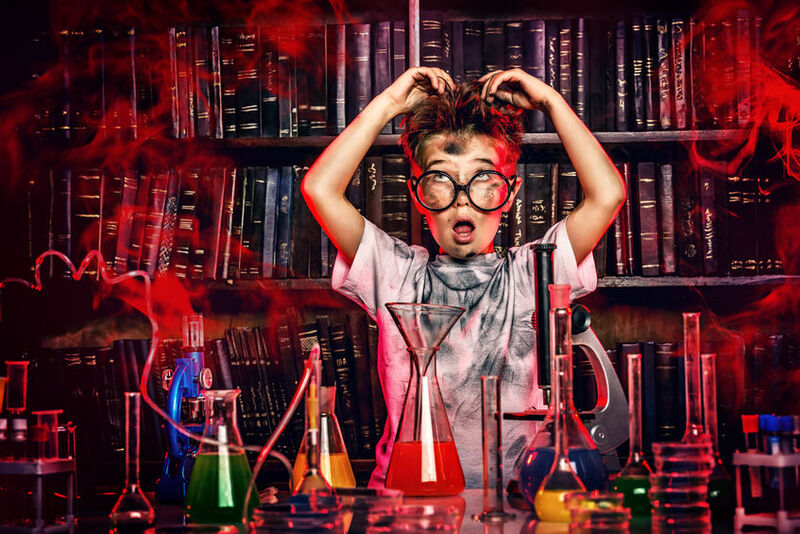 I think what podcasters should do more is embrace experimentation. I take a step back. I always use the three Ts principle. I always say whenever I’m hearing about something, I’m learning something, whether it’s on a podcast like this, a book I’m reading, or a documentary I’m watching. If it’s something that applies to what I do for my business, I always apply the three Ts. Instead of saying, “If I do the same thing, I’m going to get the same results.” I follow three words. The first one is Test. I take what I’ve heard or what I read, test it, and apply it to my context, to my scenario, to my situation. Then the second T is Track, so I keep an eye on what’s happening. I give it some time so that the results have some statistical significance. Then the third T is Tweak. Once I’ve tested, I’ve tracked, I can tweak the team if necessary or move on. I think that podcasters should realize that it’s not because we hear that somebody is having success doing certain steps in Facebook, let’s change platform for a second, if we do the exact same thing, we’re going to get the same results. It’s absolutely not the case. In terms of a re-purpose and full episode versus snippets. I don’t have any personal data because I haven’t used Repurpose so much. I’ve used it for a little while. I don’t have data or enough data to make a statement. I know some friends, some fellow podcasters who have had a lot of success with posting the entire episodes on YouTube and I know that some people, even some experts in the podcasting field say, “You shouldn’t post on YouTube audio files because YouTube is a video platform.” While that is true, I can tell that I’m the first person that uses YouTube to listen to stuff. If you’re thinking about expanding your audience, I don’t think that experimenting with a platform like YouTube is a problem just because it’s a video platform and you’re thinking about choosing audio files. In basically a few seconds to a minute or so, a person has a grasp of these golden nuggets. We’re talking about surface level information, so if one wants more than the appetizer, one wants the full plate, the full meal, then they have to go and listen to the entire episode. I think that’s where I see this audio snippets be much more effective compared to an approach where you’re posting the entire episode and you somehow hope that the copy you have written is effective enough because with those snippets it’s not only about the copy but you’re basically letting the content speak for itself. I think it’s important what you said that you test, track and tweak. That conventional wisdom is not always true. In fact, most of the time it’s not true. Comparing to another podcaster or another marketer and say, “I think I’ll get the same results.” Whether those results are good or bad is a common trap, one even I fall into. I looked at the lack of viewer counts with the Entrepreneurs on Fire Podcast. John Lee Dumas uses Repurpose. He puts the entire episode on his YouTube channel. Even though he’s one of the most popular business podcasts on the planet, he has very few views on his YouTube videos that are the entire episode. I’m thinking, “If he can’t do it, surely this isn’t going to work for me,” and I haven’t been posting the entire episodes. I’ve been posting trailers, teasers like you described that you do to my Twitter and so forth. I think that we as podcasters, we would be stupid not to experiment with YouTube because somebody said, “You shouldn’t use YouTube.” I’d rather experiment with it and see that it’s a complete failure, but at least I know that I can now allocate my marketing efforts somewhere else. Another example that goes in this direction, and you mentioned John, another podcasters I know personally, a mistake I see people make is they heard the success stories of John with Entrepreneur on Fire or Pat Flynn with The Smart Passive Income is another one. They hear, “John has sponsors. If I started my podcast, in a few months I’m going to get thousands and thousands of downloads like John and I’m going to get the sponsors and I’m going to make money.” Then they realize that it’s not that easy to build the audience. It takes time. Basically, one of the first thing they think about at the beginning of their podcasting journey is, “How do I get sponsored?” I always find it fascinating because I say if you were to follow the “industry standard” for podcast advertising, you need to have at least a thousand downloads. You would get around $43 for a thousand people listening to that episode. It’s quite a lot of effort. On the other end, Audible has an affiliate program for podcasters. Are you familiar with how the Audible affiliate program for podcasters work? I would encourage you to do the same also because of the topic of your show. As a podcaster, you can sign up. The requirements are for relatively easy to meet. Once you signed up you get a special link and with that link, you can share it on your show. If a person uses your link, they get a free month access to Audible’s entire catalog of audiobooks. We’re talking about hundreds of thousands of titles. They also get a free audiobook of their choice. We’re talking about some pretty fun stuff and you earn $15. 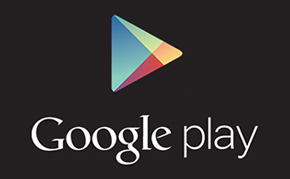 If we take a closer look at the “industry standard,” we’re talking about thousand downloads or a thousand people, $43. With Audible, if you were to have a podcast that gets, let’s say twenty downloads per episode, so very small, but out of those twenty people you have six people who take action with your Audible offer, which is completely free for them, you will be earning $90, $15 per person. You would be earning more than a show with a thousand downloads, but still podcasters, they want to focus on something they have no control over, which is, “I want to have a big audience.” They don’t take that actually, there are other avenues that may be low-hanging fruits, but they are may be as impactful if not more impactful, if they are looking at the dollar amounts exclusively. That’s such an important distinction rather than trying to get the podcast to pay for itself with the traditional sponsorship and advertising route, you can think a little differently, a little outside the box and get potentially a lot more income. What do you think about the idea of like on the flip side, if it’s so cheap to sponsor a podcast, let’s say if these thousand downloads it’s $43. 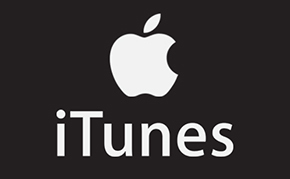 If I’m a podcaster, which I am, and I’m thinking, “I want to get on other people’s shows not just as a guest, but I want my podcast to be featured and to have an offer or some mid-roll or some pitch about why people should subscribe to my show.” Then I pay the $43 for that thousand downloads. Somebody is in my niche and I want to sponsor their show. Do you find that happening very often? Podcasters sponsoring other podcasts or shows? It is great that you brought it up because I think that podcast cross promotion is still a hidden gem in the space. 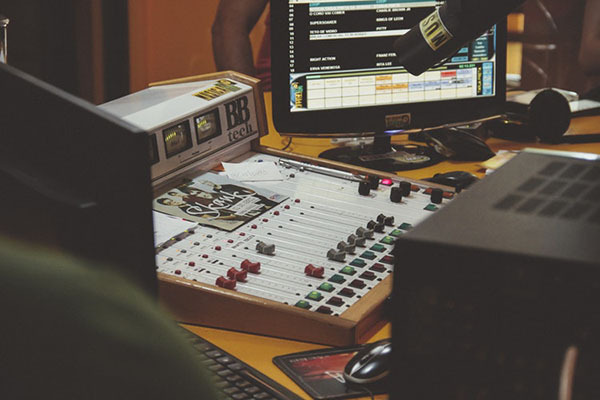 It’s also very effective in terms of growing your audience because if you think about it, one of the challenges you may encounter depending on the topic of your show is that members of your target audience may not even know what a podcast is or how to find the show, how to subscribe to our show. I see it, for example, my target audience for my music podcasts is very different compared to that of the show that is all about podcasting. The one that is all about podcasting, I almost don’t have to say anything about how to find a podcast. First of all, what a podcast is about, how to find a podcast, how to download it. On the other end when I’m marketing my show, the music one, The Jazz Spotlight, that’s something I have to keep into consideration because they are quite many people in the music space who maybe very well interested in the topic of the podcast, but they may not know how to get access to it. That’s something to keep in mind if you actually promote your podcast or other people’s podcasts on the other end, you know that that’s something that you’re going to have to even think about. Why? The answer is simple because those who listened to a podcast already know how to actually go about podcast listening. I think it is definitely worth experimenting with, especially if you find podcasts and there’s always more and more podcasts and you think the audience, the people who tune in are exactly the type of people you’re trying to reach with your show and why not, which are business too if you have a business connected to your show. I think the challenge there may be to find podcasts that are the right fit. I think people should be careful not to fall into the trap of trying to want to be featured on popular podcasts that get millions of downloads because it’s not about the quantity, but it’s about the quality. You want to make sure that if you are a guest or if you do cross-promote your podcast or whatever other thing you may be doing related to podcasting exposure, always make sure that you are exposed to the right audience, so you are featured or your mid roll is featured on the right type of show. People should be careful not to fall into the trap of trying to be featured on popular podcasts that get millions of downloads because it’s not about the quantity, but it’s about the quality. Would you say that this would be a good activity to give to a virtual assistant, a VA, to find those right podcasts that are a fit? You figure out the right kinds of shows that would be a fit for cross-promotion or even to sponsor outright and pay the money. Then once you’ve got some great examples and you have a workflow figured out which you’ve documented maybe on video or in a checklist, then you can give it to a VA to continue to execute. If what we’re talking about here sounds interesting, you could even look at promoting your podcast, advertising it into podcasting apps. Two podcasting or podcast listening apps that come to mind that I know do give you that option are Overcast and the other one is Radio Public, so I know that both of them give you the ability of paying some money to get your podcast featured in certain sections of the app or on podcasts that fall into a certain category and a person is already in there in the podcasting app. I know I’ve found out about a couple of podcasts because of that they saw them, they pop up or the banner in the app and I was like, “This looks interesting.” I checked it out. What would it look like if you were to do cross-promotion with another podcast they’re the perfect fit? Their style is in line with your style and they are open to doing a cross-promotion. What does that look like? Do you each are talking about the other’s show on your show or did you bring them on for a little mid roll ad and then they give a little pitch about their show themselves? What are the different models that seem to work? I was actually talking with a client about this. Let’s call them standardized ad. I’ve notice that as I’m a person who listens to a lot of podcasts in a lot of different fields. I even listen to children’s podcasts to see if there is something interesting that I or some of my clients can pick up and apply. I’ve realized that some of those podcasts, especially those that are hosted by people who work in radio or things like that, they start to become more of a radio show. Also the type of advertising, the way it is inserted into the show starts to sound as traditional radio. For me, as a person, as somebody who studied communication, I’ve studied psychology, communication, people’s behavior and these kinds of things, I’ve realized that for this show, as soon as I hear after the break, I know that an ad is coming up. I start to skip it and that’s not a good thing. That’s not good for the sponsor because I don’t even know who the sponsor is because I don’t listen. In the case of podcast posts across promotion, personally what I would do is I will try to think why do people tune in to listen to the conversation? Whether it’s a conversation or a monologue if you’re a solo host. What I would do is where you and the host would jump on a quick call and you would have a quick chat about maybe the host is somebody you interviewed and you would ask, “What do you remember about the interview? What did you find interesting? What did you find funny? Why do you think this podcast would be a good fit for your audience?” I think something like that is probably you probably would be much more effective and impactful compared to something that sounds like a traditional ad, where it has been recorded. It has almost nothing to do with the show, but it still plugged in to the show. Would you recommend having that little snippet or sound bite from the previous episode where they were a guest on your show or do you summarize it? I think that actually if one can do both would be fantastic. I would, for example, first have a quick snippet of that especially if there is an exchange to have not only is valuable but also people can tell that you had fun. You guys were fired up or your start laughing or something like that. I would have this snippet and then I would still add my two cents or the hostess’ two cents actually recorded if you want their commentary or their point of view, because remember the audience knows, likes and trusts their host. The host is still the best person to be the ambassador and the host is the person who knows which buttons to press and which strings to pull in order to trigger the audience’s interest. Would you recommend then that as a podcaster, I would start with my past guests who are also podcasters and look for opportunities there for cross-promotion? If it’s somebody you already know because of the interview, then that’s that the easier thing to do. Also because we could use a little clip from that previous episode on my show and talk about how it was such a great interview that I checked out this podcaster’s show and it’s actually a great show that my listeners would enjoy listening to as well. It’s definitely is a good idea to start there. The only thing is I would be prepared because it’s not because somebody has a podcast that they are willing to have advertising slots. That’s something that as podcasters, if you want to carry out what we’ve talked about in this interview, especially this point of the podcast cross-promotion, you have to be ready that some people are going to tell you no. It’s not because they have something against you or your show, but it’s simply because they don’t want to have advertising slots on their show. One more topic I want to briefly touch on and that is the show notes. Is there anything in particular that you consider to be best practice or good idea to leverage the show notes because typically they’ll have a quick summary of the points from the episode, maybe some timestamps and the links from the episode, the various resources that were mentioned are all there as a list of links. I’ve seen some much more advanced types of show notes. I’m curious what would you recommend for somebody who wants to leverage their podcast for business? First of all, I think show notes are good because you have to keep in mind that you may have something like a blog for example, so you may have people who visit your site who aren’t podcast listeners and sometimes they may come across your podcast because they are browsing your site and they see a title that looks interesting and that’s actually a show notes page. In terms of how to leverage show notes, you touched upon a couple of elements. I think every show notes page should have the podcast player and they should also have at least the links of the resources. I think as podcasters we should realize that the show notes, we can make them valuable if we make people realize what the value is. A practical example for The Podcaster Lab, in each episode I focus on a very specific topic. Sometimes I may refer or mention several resources or past episodes or things like that and I always make sure to emphasize the fact that we touched upon several things. We covered a lot of ground. I mentioned several books or whatever and you find everything summarized in a bulleted list in the notes page, whatever the link is. That’s the first thing. The second thing is to actually give people an additional incentive to go to the to the show notes page. Remember, if you’re podcasting for business, your website is probably an asset you’re using and if you have an online business, then that’s your online headquarters. That’s where payments are processed, to be raw. What you want to do is you want to give people a reason for going back to the show notes page and sometimes that can be a downloadable resource. In blogging it’s called content upgrades. Perhaps you have covered a specific topic and you have something like a PDF checklist that they can get. If you had an entire episode that was all about the PDF one-sheet, an incentive for people to go to the show notes page could be, “By the way, I’ve added mine as an example in the show notes page. You can go download it so that you can use it as reference when you’re creating yours.” If you have something like that, it becomes a no-brainer for a person to go and visit the show notes page. In terms of show notes page, podcast listening experience and your overall approach, it’s important to keep in mind that podcast listening is an activity that is typically carried out in a multitasking fashion. People typically do other things when listening to podcasts. They may be cooking, they may be walking the dog and exercising, and oftentimes they’re not at home. They’re not even in front of a computer, so because of that, you want to make sure that the call to action you have, the show notes page you mentioned is clear, concise and it’s easy for the listener to remember. 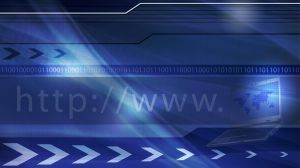 If you want to have less friction, then the URL has to be something that is memorable and easy for people to remember. We definitely want to reduce the friction. In fact, this applies not just podcasts. I have a client who I’m helping them with their SEO, but I’m also giving them some suggestions on overall marketing. I listened to their radio ad, which is on Satellite radio. Their phone number is hard to remember. It’s an 866 number, it’s not an 800 number and the last four digits are a word and not the first three digits as well. I’ve got to remember it’s an 866 number. It’s some weird combination of three numbers, plus it’s the first name of their company. It’s got to be memorable. You got to reduce the friction. What a great tip to end this episode with. If somebody wants to work with you, either learn from you from an online course or they want to hire you as a consultant or coach to help them with their podcast marketing, with their podcast business strategy, with podcast guesting, with starting their own podcasts for the first time. Where should they go? I have my online headquarters so people can find more about all the things I have to offer. They can listen to my podcasts on YannIlunga.com. That’s my online headquarters and I would like to invite everybody to join the Podcast Growth Mastermind, which is a free Facebook group I have that has thousands of podcasting enthusiasts, podcasters and members of the podcasting industry from all over the world. If you want to learn more about podcasting podcast, guesting, you simply want to say thank you or you would like to connect with other podcasters and people in the podcasting space, you can go to YannIlunga.com/Community and I’m there as well. Whether you reach me through my website or through the Facebook group, I’m always around and I’m always happy to get back to people as soon as I can. I’m excited now to implement some of this stuff that I hadn’t even thought of doing for my own podcast. I’m a seasoned podcaster and I’ve got a lot of value out of this episode. Thank you so much, Yann, and thank you, everyone. ☑ Always prepare before interviews. Get to know my guest by looking at their website, listening to their past interviews, and researching their books and speaking engagements. This will provide my audience with a more in-depth conversation. ☑ Think about my audience’s best interest. Consider what value I’m trying to provide through each podcast episode. ☑ Create talking points and topics of discussion so that my interviews remain organized and easy to understand. ☑ Give my guests the opportunity to promote their work so my audience has a better understanding of their expertise. ☑ Find ways to partner or collaborate with my guest to help both parties thrive. Use their talents and expertise to my advantage. ☑ Alert my guest that the podcast episode is live so they can share it with their community. ☑ Embrace experimentation. Podcasting is not a one size fits all process. What works for other podcasters might not work for me and vice versa. ☑ Apply the 3 T’s: Test, Track and Tweak. Test these strategies and apply them to my process. Track my progress and tweak whatever is necessary to improve. ☑ Reach out to other podcast hosts to get myself interviewed. This will help me increase my visibility and listenership. ☑ Create a one sheet that contains a quick yet detailed preview of who I am and what I do. Be sure to include my contact details so other podcast hosts are able to book interviews with me. 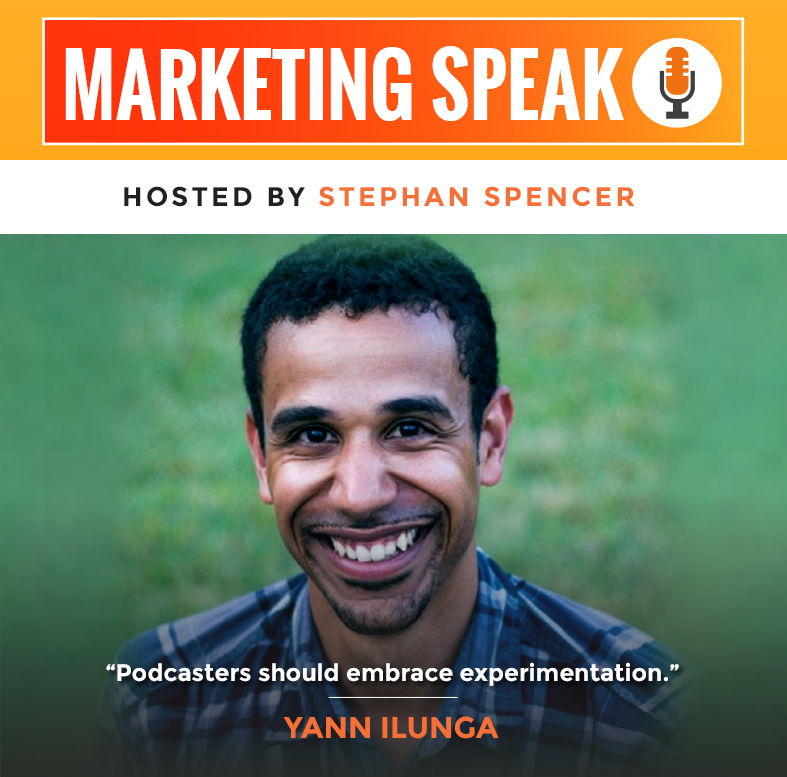 Yann Ilunga is a podcaster and podcasting consultant, who helps entrepreneurs, business owners and creatives leverage the power of podcasting and funnels to build authority, network with influencers, generate more leads and acquire new customers. 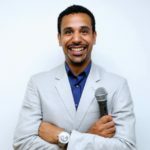 He’s the host of four podcasts, including the popular entrepreneurial show “360 Entrepreneur Podcast” and the music business show “the Jazz Spotlight”.